Moderate to large size ASD causing right heart dilatation and raised the pressure in the lungs should be closed and closure can be performed either percutaneously using devices (through the femoral vein) or through open heart surgery. This procedure is performed in the cardiac catheterization lab. You will be given an anesthetic which may be general (GA) or local (LA) depending on the technique used. In most cases, this procedure is performed under general anesthetic (GA) which is given by a qualified anesthetist. 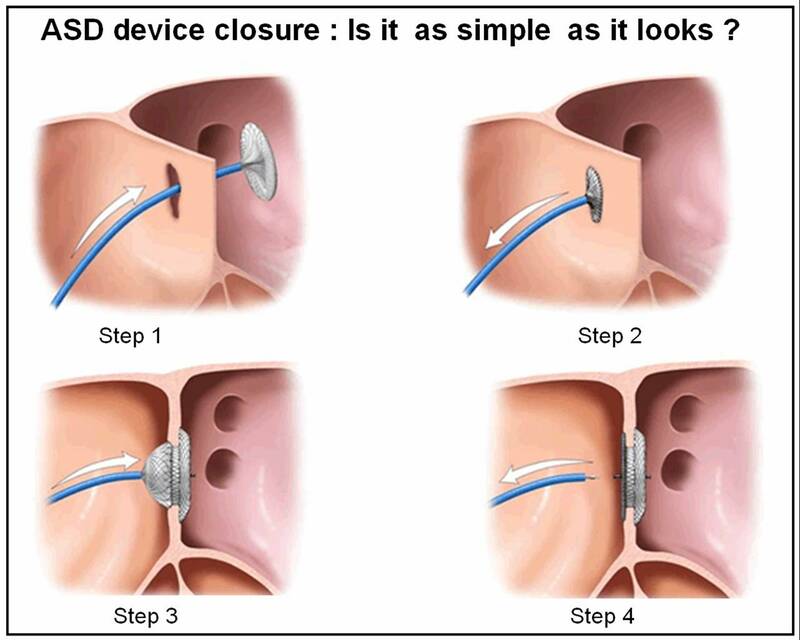 Once anesthetized, an imaging probe (TEE) will be passed into your gullet (esophagus) for accurate sizing of the ASD and to assist during deployment of the device. You will lie on an X-ray table and an X-ray camera will move over your chest during the procedure. A plastic catheter (a long tube) will be inserted via a vein in the groin and navigated until it reaches the heart. Sometimes (depending on the individual case), the catheter is positioned at different chambers of your heart to measure the pressure and oxygen content prior to device closure. In certain circumstances, balloon sizing of the ASD may be required. Once your doctor is satisfied with all the measurements, the appropriate size device is connected to a cable, put into a special delivery tube, advanced through your ASD and carefully deployed. Your doctor will study the device’s position and stability before releasing the device. The catheter and imaging probe are removed and the procedure is completed.